Why Do We Need Coal Mining Reclamation Surety Bonds? SuretyGroup.com writes reclamation surety bonds. Coal mines have been operating in the US since the 1740’s. It wasn’t until the 1930’s that surface mining began. In those days, both mining operation types paid little or no attention to the lasting effects the mines had on the vegetation, animal life and overall environment of the surrounding areas. 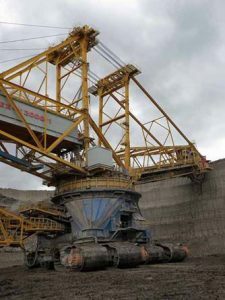 Erosion, sinkholes, contaminated soil and water, and air pollution are a few issues connected with mining. Eventually a few states tried to take action to regulate the coal mining industry, starting with West Virginia in 1930. Some states required permits and surety bonds to make sure the land was returned to its natural state once the mining operation was complete. But many mining operations would move to a state with easier regulations, and continue to cause destruction to the land around it. The Surface Mining Control and Reclamation Act of 1977 ensures that before a mining permit is issued, all applicants must submit a reclamation plan and post a surety bond to ensure that they follow reclamation procedures. The mining project cannot begin until the plan is approved and a surety bond is secured. The bond amount can be quite large, as it must be enough to complete the full project in the event the applicant does not follow through on the contract. The premium would be a percentage of the bond amount. Credit and financials help determine the premium. Pre-mining condition and use of the land to be mined. Proposed use of the land after reclamation. What steps will be taken to comply with air and water quality laws. The surety bond ensures that there is enough money to complete reclamation. The amount of the bond must equal the amount of the proposed reclamation plan. This bond will not be released until the state or federal regulatory office had determined that the reclamation is successful. This can be a long period of time, such as over 10 years after the reclamation has been completed. SuretyGroup.com writes Reclamation Bonds for mining operations. We offer free, no-obligation quotes, and fast, friendly service. Call our Surety Bond Specialists today at 844-432-6637 or email info@suretygroup.com.